Have a great time! 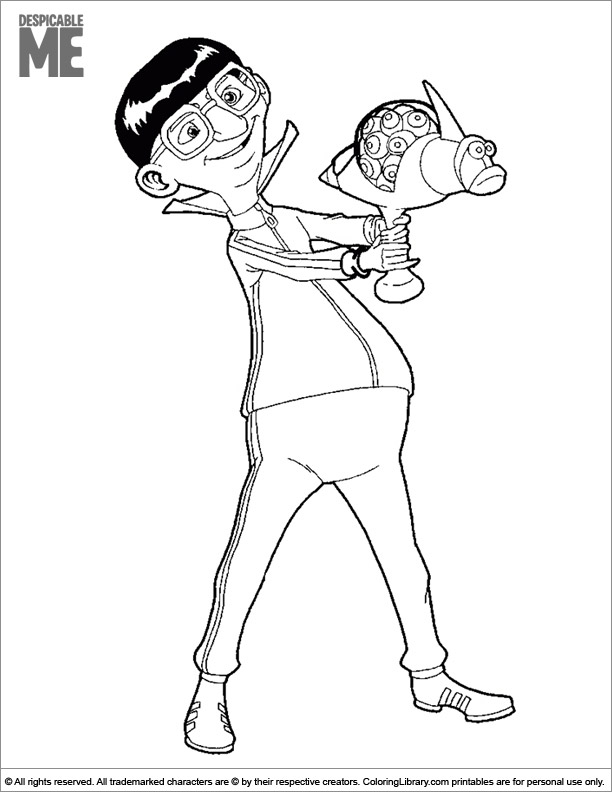 Start coloring this Despicable Me coloring sheet for kids. Decorate this picture any way you like, with paint, stickers, glitter, crayons and pencils. Are you looking for more Despicable Me coloring sheets? Coloring Library has a great collection.